So, after everything that has been said this month regarding Underwater Menace we get an article today from Doctor Who Magazine in which every party that might have their fingers in any missing episode pie strongly denies having ownership of any more missing episodes. Toward the bottom of the article they briefly mention UWM stating that it will be out later this year with the missing episodes reconstructed using production stills. This of course has led to many questions like, is the omnirumour dead? If they are just putting out a reconstruction why do we have to wait so long? What about the animation that was rumoured to have been started and abandoned? And what about The Crusade? All very valid questions that aren’t answered in the pages of Doctor Who Magazine. Kudos has to go to the Doctor Who and the tardis- Classic Years facebook page that broke this story a couple of weeks ago, even if they took it down quickly. All their info turned out to be right! This is the first in a series of articles looking at the seasons most devastated by missing episodes. Most Doctor Who fans know about the missing episodes, I would hope. 97 episodes are missing from the archives of Doctor Who, spaced out over the first 6 years when the show was shot on black and white video tape and then transferred to 16mm film for overseas sale. 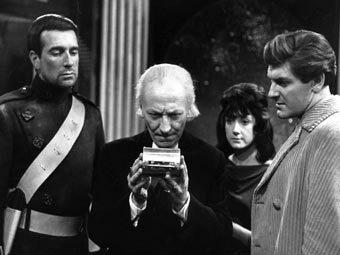 October saw the announcement of 9 of the then 106 missing episodes returned in the form of four episodes from ‘The Web of Fear’ and five episodes from ‘The Enemy of the World’, both classic season five stories. When we look at what years are most represented, we can see that season one is missing 9 episodes, season two 2 episodes and season six 7 episodes. This means that 79 episodes come from seasons 3-5, and those are the seasons these articles are going to be about. Why? Because I think they come from a really interesting time in Who history, and frankly not so much is known about them. Less episodes means less DVD releases, which in turn means less interviews and knowledge about this crucial time in Doctor Who history. Over these three years we see firstly the first and second changes in producership, the first change in lead actor, the phasing out of historical adventures, two actors playing companions left out to dry (if not four), constant changing of the format and much more. It’s a fascinating time – perhaps the most interesting in the first 26 years. It’s a time I crave more and more knowledge of. No one wants the missing episode rumours to come true more than I do, but we are in a holding pattern right now, waiting for a possible second announcement of more finds, and it seems the perfect opportunity to examine the era and see what it is all about. Today, I write about the third season of Doctor Who. 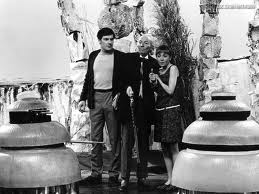 Verity Lambert and Dennis Spooner left the show after ‘The Time Meddler’, a pseudo-historical and the first story which saw the Doctor with a different team than the show had started with – Vicki (Maureen O’Brien) and Steven Taylor (Peter Purves). I for one liked Vicki, I felt her character was much better for the show than Susan who had, in my opinion, cried and screamed her way through most of her episodes. Vicki had more of a spark, was more mischievous and didn’t scream nearly as much. Steven Taylor presented immediately as a strong and physical male companion. John Wiles and Donald Tosh were the incoming producer and script editor respectively. 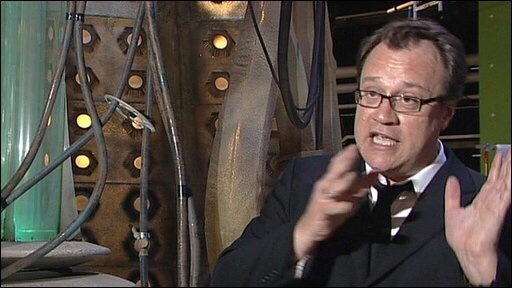 They came in with some stories already commissioned and planned – principally ‘Galaxy Four’ and ‘The Daleks’ Masterplan’, and considering the size of the second story, they would have to wait a long time before they could really start to shape the show with their own ideas. One thing is clear – they were not fans of the longer stories. If you see the illuminating interview on ‘The Gunfighters’ DVD, Tosh clearly considered ‘The Daleks Masterplan’ was a hindrance to them moving the series in the direction they wanted to. Not to mention they had a lot of issues just getting Nation’s scripts in for the first six episodes, which he delivered very late before he was flying off to the States. ‘Galaxy Four’ didn’t thrill them that much either, a story that Peter Purves’ considers one of his least favourite. Thought completely lost bar a six minute clip from episode one, an episode was returned (Episode 3: ‘Airlock’) late in 2011. In fact it was a surprisingly interesting episode. There’s a great sense of play with the Chumblies, and Maureen O’Brien gives a particularly good performance. The reconstruction produced by Loose Canon is an amazing job considering there were no telesnaps from this story, but it felt a very slow, uneventful tale. The new reconstruction on ‘The Aztecs’ DVD, albeit a cut-down one, moves a lot faster thanks to the returned episode. 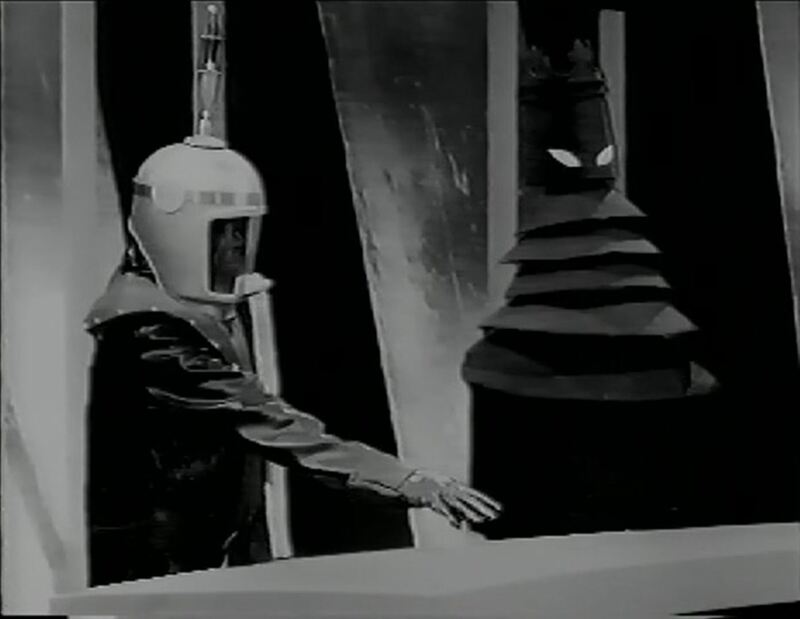 Then there was ‘Mission to the Unknown’, there are at least two animated versions out there on Youtube today, but we have no telesnaps nor existing footage from this one-episode Doctor-less story. Again an idea struck on by Verity Lambert before she vacated the producer’s chair, this was almost a 25-minute trailer for ‘The Daleks’ Masterplan’. It was a good way to give William Hartnell a break too, instead of having the Doctor disappear mid-story for an episode. Once we hit the following story, Wiles and Tosh are starting to have an influence on what we see. Donald Cotton wrote two wonderful season 3 scripts in my opinion, both with a healthy dose of comedy and the tongue in cheek, and with fairly brutal endings. The first was ‘The Myth Makers’. Who better to come up of the idea of the Trojan Horse than the Doctor? There’s a lot of wit in this script, some great by-play between the Doctor and Odysseus, and a very bloody ending. Somewhere in the midst of everything, Vicki falls in love and decides to stay in ancient Troy. The first departure of the era, and Maureen O’Brien was written out without her knowing it or indeed wanting it, which did not endear Tosh or Wiles to the lead actor in William Hartnell at all. In fact, watching the reconstruction, Vicki’s decision to stay in Troy could probably have been handled a lot better on screen too, let alone off screen where she basically found out by reading the script. Unfortunately all we have are a few publicity photos and some 8mm off air footage shot by a guy aiming his camera at his TV screen. I’ve often felt this was a bit of a ‘forgotten’ tale, it’s not one many fans talk about. I think if it were to turn up, however, people would find this to be a pretty cracking and enjoyable tale. It also has a couple of the best individual episode titles of all. ‘Horse of Destruction’ is rather good, but it is certainly trumped with ‘Small Prophet, Quick Return’. What followed Vicki’s departure was a complete debacle. Adrienne Hill was cast as Katarina, a hand-maiden in Troy it appears hastily written into episode four, ‘The Horse of Destruction’, to be the new companion. I haven’t the foggiest idea why. She lasts five episodes including her first and becomes the first Doctor Who companion to die in the show, as she opens an airlock when being mauled by a desperate criminal in Episode Four of ‘The Daleks’ Masterplan’ – ‘The Traitors’. Tosh says that they quickly realised she wouldn’t have worked as a companion because she came from too far back in human history and the Doctor would have had to explain everything to her. I’m not sure exactly how quickly they realised, but they sure killed her off pretty quickly and I wonder if she was originally planned to (and written into) subsequent episodes of the story and then taken out by Donald Tosh. 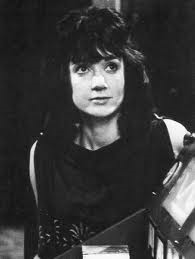 Sara Kingdom (Jean Marsh) acts as a sort of companion for the remainder of the story, but is such a stark contrast to Katarina it seems impossible that it was the same part with a bit of tweaking. These sort of changes indicate exactly how close to transmission decisions were made and script received. Wiles and Tosh now found themselves embroiled in the 12 part behemoth they never wanted, and they also realise that episode 7 is going to fall on Christmas Day. ‘The Feast of Steven’ was written by Nation (strangely episode 6 was written by Dennis Spooner, who would go on to complete the serial) and features a decidedly comic turn as the plot is sidelined for a week so that those who miss the Christmas episode wouldn’t have a problem following the storyline. Just like ‘The Feast of Steven’ broke the ‘The Daleks’ Masterplan’ into two parts, it does the same with my discussion of season 3. That’s where we will pick up next time. 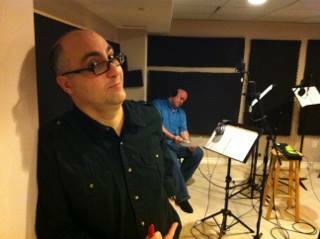 There’s a new fan produced Doctor Who audio entitled Dark Journey coming to iTunes in June. I sat down for a chat with MA Tamburro, the director and producer and will have that interview for you in the coming days. Until then you can check out the trailer and get a taste for what it’s going to be about. 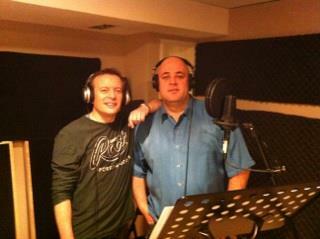 You can follow them on twitter at @AMAudioMedia for updates on the project.